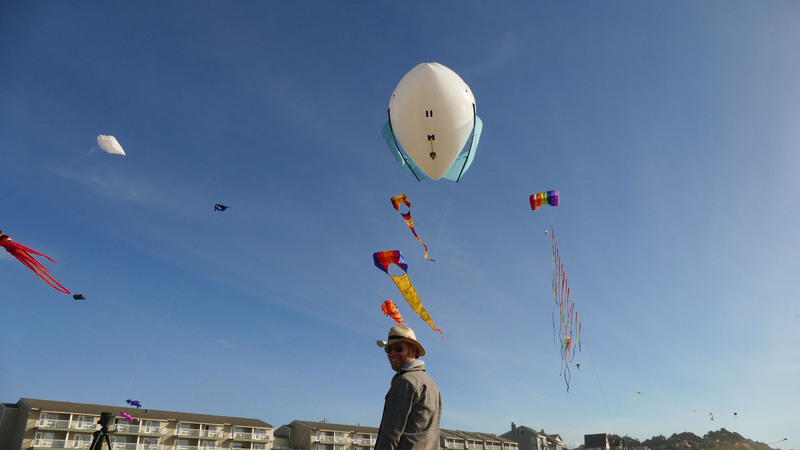 Airpup joined the phenomenal show of kites at the 2018 Lincoln City Fall Kite Festival. It was an opportunity to practice aerial videography, and also to fly in winds above 20mph, testing Airpup’s stability and durability. While Airpup seemed stable and ready for higher winds, it was hard to grip the line with gloves. I’ll have to test to 30mph+ with some thicker line and maybe a winch.